It’s a unanimously accepted fact that search engines are now the most popular way in which people find information regarding local businesses. 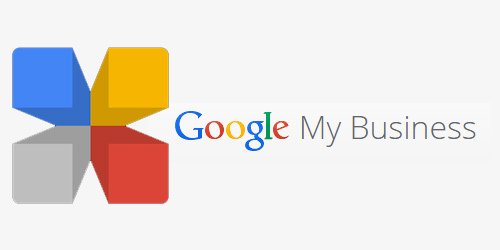 Countless business owners now rely on Google My Business to expand their company’s online presence and reach out to potential clients on Google Maps and Searches. In effect, an average Google My Business listing gets five times more views than any other listing that has not been claimed by its owners. Google recently announced that they are updating the insights feature of Google My Business and now, business owners can view comprehensive analytics around how people locate and interact with their Google local listings. The additional features also comprises of a breakdown of how many people are actually viewing your listing via Google Search against Google Maps. The Insights section plots data in a clear way, complete with the total amount of views on both, Google Search and Google Maps with a graph depicting listings on Search and Maps. Additionally, Google will also show business owners how users have located your listings, whether it was through a direct click or a search, known as “discovery”. Direct click refers to when a client finds your listing by searching for your business address or name and discovery is when a client locates your listing by searching for a product, service or category. With this exciting new upgrade, Google has also announced that they are removing Google+ statistics from the dashboard. The in-depth insights update on understanding how clients are finding your business on Google will go a long way in promoting and maintaining your business online. “Sri Lanka is going to be one of the best destinations for tourism and leisure throughout the world this year, being ranked as the number one destination in the world to travel in 2013 by Lonely Planet and endorsed as one of top six destinations for world travellers in 2012 by the National Geographic Traveller magazine”, says Ragulan, founder of Epitom Consulting. Epitom Consulting, a Marketing consultancy firm which is fast becoming an epitome of professionalism in the Sri Lankan consultancy knowledge world by serving its clients with the best. Ragulan explains that his business is dedicated to offering unparalleled Marketing consultancy and knowledge related services through an exceptional professional approach which ensures that the clients are successful, competitive and become leaders within their markets. “On December 31st 2012, Sri Lanka welcomed her one millionth tourist while comfortably surpassing the targeted tourists arrival to the country of 950,000 for the year of 2012. However, unfortunately most of the hotels are not up to the standard from the tourists’ point of view and also not marketed adequately to attract more tourists into the country”, points out Ragulan. As a result Epitom has decided to render its fullest support to hoteliers to uplift the marketability of their hotels. This particular service is named as Epitom’s Compact Hotel Solution which will be offered at an affordable budget that helps the small medium hotels to obtain the maximum benefit from the package. “With the aim of offering the perfect job, the first step is a basic audit about the hotel that will be prepared free of charge. Epitom will do research about the hotel including its website, social media profiles and through TripAdvisor which is a global travel website that contains numerous travel related information, reviews, guides and options that play a vital role in travel related decisions making” stated Ragulan, explaining the strategy adopted by his firm. “While going through the Trip Advisor reviews which are posted by guests who have visited Sri Lanka, we found many positive as well as negative reviews about the Sri Lankan hotels where most of them are not managed properly by the management” Ragulan mentioned. “It is becoming very important to manage all the online as well as offline channels to attract more guests by which the hotels can be taken to the next level. Consequently, after all our research we decided to join hands with the hotels and provide customized services such as the Internet Marketing, Online vs. Offline marketing consulting (Branding, Customer Relationship Management, Loyalty Marketing), and web development. For more information mail us hotels@epitom.org / call 071 303 2422. Today I spent half of my work time to find out what a gift culture can play a role in a virtual community. Simple it is all about in a community where goods and services are given away in exchange for favors or respect. It might be a monetary value or a sort of value favor. If its online mostly the exchange of value in gift culture would highly based on service value than a physical exchange. It will increase the member interaction – A best example would be facebook. I generally use facebook gift applications to interact with them more. Draw more members to the community – It a tool of buzz marketing.